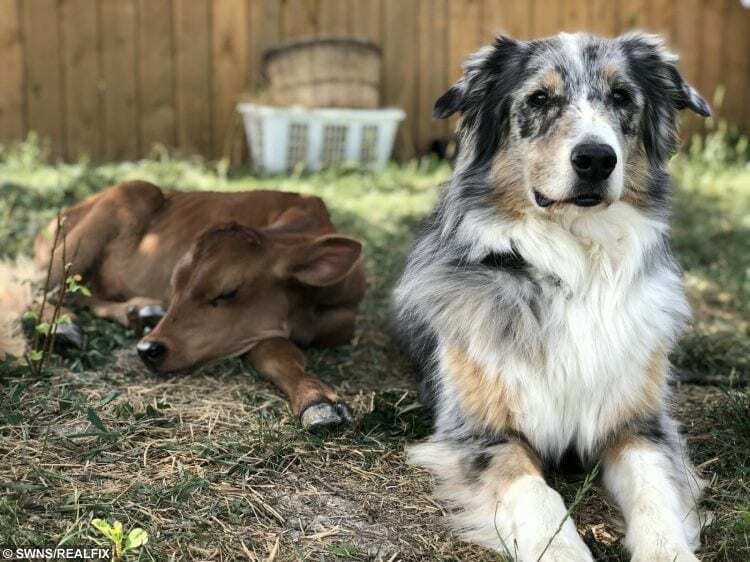 An adorable calf saved from slaughter has become best friends – with a dog. 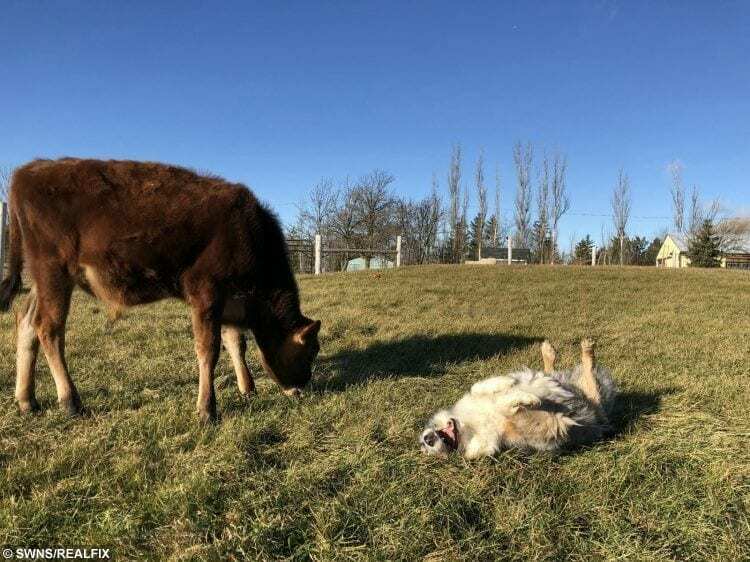 Calvin the cow and Lincoln, an Australian shepherd, have been completely inseparable since the moment they met lat the Black Goat Farm and Sanctuary in Ontario, Canada. Calvin was born at a nearby dairy farm, but was due to be slaughtered. “At the dairy farm Calvin lived in a concrete pen, he never got to go outdoors,” said Megan Mostacci, 28, cofounder of the Black Goat Farm and Sanctuary. “Lincoln was very protective of Calvin from day one,” said Megan. “They formed a bond right away and became best buddies, Lincoln acted like a surrogate mom to Calvin when he was a little calf. The furry friends now have two acres of lush, green pasture to play together. “The first thing Lincoln does in the mornings is run down to where Calvin sleeps, then they spend pretty much all day, every day together,” said Megan. Now Calvin is six-months-old he dwarfs Lincoln in size, but the loyal pup still acts like the mom in the relationship. “Lincoln still thinks he needs to protect Calvin, he’s always there right by his side watching over him,” said Megan. 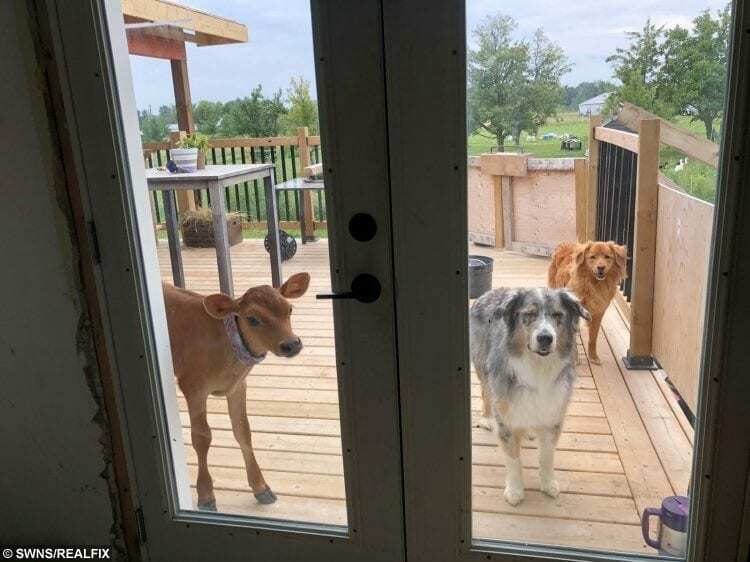 The canine/bovine friendship isn’t due to end any time soon. “We’ll keep them together for the rest of their lives,” said Megan.